Surrounded by myth and misunderstanding, the timid Aussie Dingo has received international stardom for all the wrong reasons. Labelled a baby-killer and a threat to national agriculture, the dingo has become the Big Bad Wolf of the Aussie Red Riding Hood story. 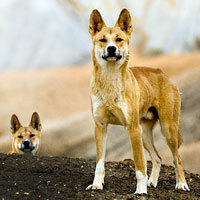 Loved, respected and valued for over twenty millennia, the Dingo lived with Australia’s Indigenous People comfortably. Found with every Indigenous Nation across the mainland, the Dingo was a spiritual guardian and camp companion who was trusted in the company of babies, children and adults alike. Dingoes were even brought into sleeping areas and used as bed warmers in winter. Contrarily, European settlers and Anglo-Australians have chosen an aggressive and violent approach to engaging with the Dingo. Shot, trapped, poisoned and starved for the past two hundred years, the Dingo’s noble and valuable place in Australia has evidently been lost. Now mostly feared and hated by the Australian public, the Dingo’s future is at risk. Whilst ecologists and Dingo owners lobby governments for the species’ protection, agriculturalists and land owners are lobbying governments for the Dingo’s permanent extermination. Why is our National Guardian now considered a National Risk? 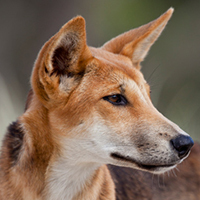 Let’s look at some of the stories and beliefs that have influenced the nation's view of the Australian Dingo. 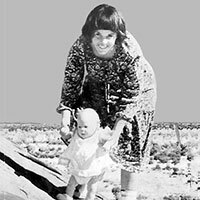 The story that stopped a nation: the loss of Azaria Chamberlain. Uluru, 1980. Uncontrollable or just timid and highly intelligent? An insight into dingo interactions with humans. Are you safe? 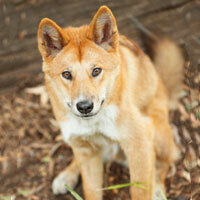 A close look at Dingo temperament around infants, adults and other pets. Introduced species or native animal? The enigma behind the Dingo's origins revealed. 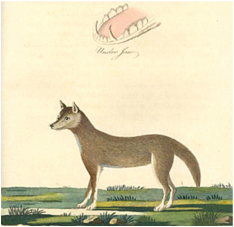 Examining the dingo's heritage, discover its true place in the evolutionary tree. 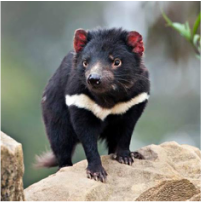 Unfairly blamed for the mainland extinction of Tasmanian devil and tiger, studies reveal the dingo was not responsible.